Vickie Cooper examines the intricacies and insidiousness of austerity in the UK. Another way to think about the harm and violence of austerity is to pay more attention to those bureaucracies and organizations challenged with the task of enforcing it. Since 2010, the welfare reforms have encompassed a whole range of assessments for determining new thresholds of eligibility, with the aim of removing people from their benefits entitlement. Benefit claimants have been forced to make the transition from old benefit entitlements, to new ones; with new rules, new measures of entitlement, new guidance frameworks and more strict sanctions for those claimants who fail to adhere to these new rules. In this transition, claimants have had to undergo new benefits assessments such as Personal Independence Payment (PIP), Employment and Support Allowance (ESA), Spare-room Subsidy (bedroom tax) and Job Seeker's Allowance (JSA). These new thresholds of entitlement and eligibility, and the volume of assessments they entail, should not be underestimated as we think about how austerity is violently enforced through bureaucracies and organizations. Putting these new measures of eligibility in motion, the government and local authorities have recruited a number of private companies to administer the new rules of eligibility. Companies such as Experian, A4e, ATOS, Maximus and Capita have all been recruited to assess and process millions of benefit claimants. Where authorities claim that these companies ‘improve the quality’ of their assessment process, individuals assessed by them would most likely claim the opposite. 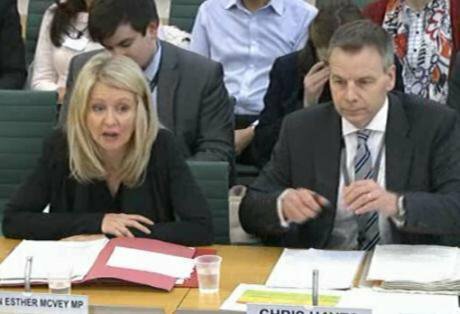 A government inquiry into the standard of assessments made by the company Atos, revealed that 41 per cent of face-to-face assessments ‘did not meet the required standards’. When A4e set unattainable targets to reduce the number of people claiming employment seeker's allowance, staff members resorted to ‘numerous offences of fraud’ in order to remove people from their benefit entitlement. Such offences involved ‘tricking’ claimants into carrying out job-search activities that, as a result of learning difficulties, they could not complete and were subsequently sanctioned. Although privatisation plays a significant part in the violent enforcement of austerity, local authorities have also been reprimanded for conducting benefit assessments unlawfully. Systems of classification and eligibility have a long history in shaping society and political relations. At worst, repressive regimes have relied upon bureaucracies to enforce formal eligibility rules to disqualify and deny citizens access to fundamental rights - often relegating them to ‘stateless’ and ‘non-human’ identities. The Apartheid regime in South Africa began with the classification and reclassification of race that enabled the state to organize the violent expulsion of certain racial and ethnic groups and deny citizens their most basic rights. Similarly, Hannah Arendt observed that the perpetrators of the Holocaust were not atypical monsters, but mundane bureaucrats, as demonstrated in her analysis of the Adolf Eichmann trials. And austerity serves as something of a peculiar model in this process. Austerity and the bureaucratic means by which it comes to be enforced is about reconfiguring social relations. Here, gender-relations and new benefit rules are a good case in point. With Universal Credit (which amalgamates six benefit and tax credits) claims are made on households, not individuals. The Women’s Budget Group argues that the design of Universal Credit - with its system of joint assessment, joint ownership and joint income - reshapes gender relations as it reinforces the ‘single breadwinner model’, a model that has disadvantaged women throughout history. In reshaping gender relations, Universal Credit is positioning women in harmful positions as it allows for abusive male partners to centralise and control household finance. Financial abuse is a common source of power and violence that is exercised over women and Universal Credit simply gives the abuser more money and more opportunity to control. This comes on top of overwhelming evidence from Women’s Aid showing that the provision of domestic violence specialist services and hostel accommodation available for women, is diminishing directly as a result of local authority cuts. In this post-crash period, the war on the poor has resulted in various social injuries including debt, child poverty, evictions, homelessness, self-harm and suicide. Hell-bent on the idea that removing people from their basic entitlements can restore economic order, the government is throwing people onto unknown margins in order reduce the budget deficit. But justifying this level of harmful and violent economic policy - as a means to an end, to reduce deficit budget - does not wash. Austerity is not a means to an end, but a long-term strategy by which governments are violently and legitimately disrupting the rights of citizens. As Hannah Arendt put it, violence is rarely a means to an end, but a power structure and political order that ‘outlasts all aims’. It is worth paying closer attention to the rising levels of psychological and physical harms affecting young people as the next round of welfare reforms will disproportionately affect young people. With the new welfare reform bill, the Conservative government looks set on excluding young people between 18-21 years old from housing benefit entitlement (who are also claiming Job Seeker's Allowance). Despite homeless charities ferociously ringing alarm bells showing how these policies will result in homelessness, the government wants young people to ‘earn or learn’. And bureaucracies will play a key role in enforcing these new rules as it begins to assess and remove approximately 20,000 young people from this benefit entitlement.